From VR to shooting star drones to self-driving vehicles, Intel is more than a PC company. 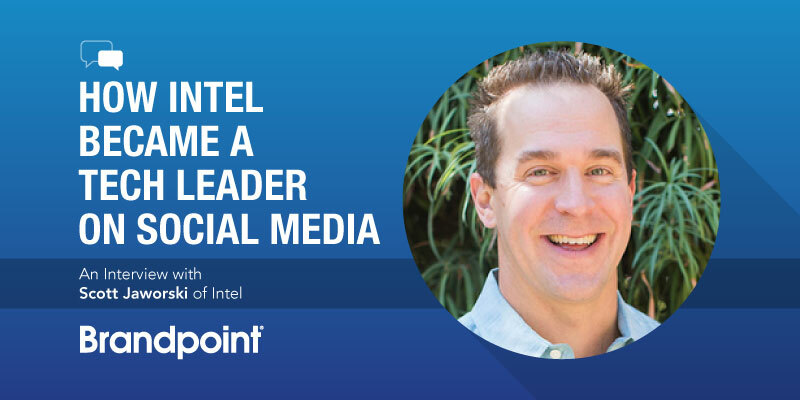 Scott Jaworski, Director of Global Social Media at Intel, is tasked with managing the tech company’s social media footprint that spans 130 social channels and more than 70 million fans. Scott gives us an inside look at Intel’s social media practice, how his team is structured, the tools they use to automate processes, how Intel maintains a competitive edge, and why money can make you lazy. To start, what has been a career highlight for you? Most recently: 2018 Winter Olympics Social Media Activation. A piece of our content was the most “wowed” Facebook post globally during the 2018 Winter Olympics. Overall, this single post garnered 16M views, 218k reactions, 306k shares and over 28k comments! Balancing the advancement and expansion of our increasingly complex business and target audiences with our outbound social activities. To simplify, Intel is not only a “PC company,” we power and offer solutions spanning artificial intelligence, 5G, autonomous driving, data centers, drones and more. Telling all of these stories to myriad audiences while maintaining brand consistency and voice without burdening and confusing our followers has been a tall order. 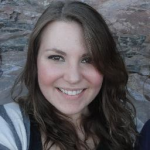 Your session at SMSS is about structuring a social media team for success. How is your team structured and why does it work? During my 3.5 years of leading the team, we’ve endured several organizational shifts and changes. With our focus on increasing relevancy, conversation and community — the roots of social — we’re currently undergoing a transformative change in org design. I’ve designed my org to include social strategists, social audience specialists and an editor-in-chief. Audience specialists are first and foremost cut from the fabric of our target audiences (i.e., gamers), who will immerse themselves socially. Having this depth of knowledge allows us to authentically be a part of the community, wherever that community may be, (and) furthermore, better allows us the ability to scale/contract with our business. The editor-in chief will own our overarching editorial strategy and positioning of brand voice across our master brand handle(s). Think content flight control and the first line of defense for our audiences to ensure a coherent message. What processes are you automating with the tools your team is using, and how does it support your overall strategy? Intel’s social footprint consists of approx. 130 social handles spanning 70M+ fans and followers globally. With handle owners residing across all business units and geos, automation and scale are pinnacles to our success — for both efficiency and brand consistency. Did someone just start a new handle? We all know it takes 30 seconds to open a new handle and we need to ensure we’re adhering to our strategy and brand. We centrally manage login credentials allowing Intel, not individuals, to “own” the password. The tool allows us to grant access to anyone for a set amount of time without sharing the actual password. Ex: If you’re not a paid sponsor during the World Cup or Super Bowl and your brand references “the big game” or equivalent, this could pose legal issues. These systems allow us to quickly diminish and avoid these. Does Intel work on competitive analysis? Being in the tech space, I imagine you’re at an advantage — people love learning about VR, watching shooting star drones and seeing the evolution of self-driving vehicles. But there’s still a lot of competition. How does Intel stay at the forefront of the technology conversation, and what is Intel’s competitive edge? Absolutely; we have individuals dedicated to competitive analysis and product claim validation. Social, by nature, offers a rich environment of topical and niche conversation we actively listen to. What stems from these findings can manifest in many ways — R&D, crisis management, etc. Honestly, our competitive edge is our employees. Our employee base is dedicated and loyal, always looking out for Intel’s best interest. Not only that, they are some of the smartest people I’ve ever worked with. As a marketer amongst engineers, when my team and I have bridged the divide and brought our activities into their organizations, the level of excitement is off the charts. They love seeing and being a part of the ways in which we bring their concepts to life in ways they couldn’t imagine. When we do so in partnership, it allows us to create some of the richest and best content possible. Read some of our stories on www.iq.intel.com and you can see how we incorporate Intel’s POV as well as third-party experts to help tell the story without shouting through an Intel bullhorn, as my team would say. 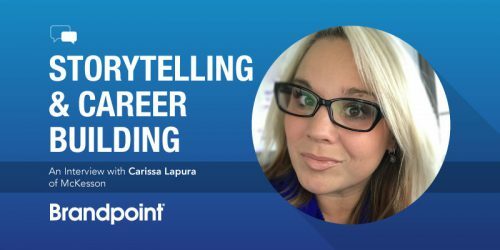 In your 15-year career of working in the design, media and strategy segments of marketing, what is the biggest change you’ve seen in the industry, and how has that impacted the work that you do at Intel? The speed and advancement of the digital ecosystem and how crippling it can be in select cases (sorry, Meerkat). 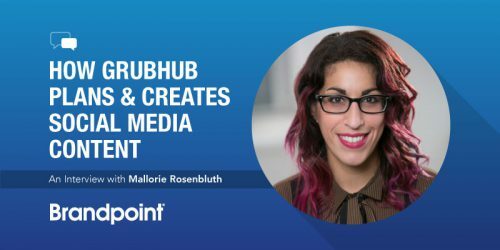 Rent vs. owning your audience — building brand-owned communities, creating publishing channels, etc. In your experience, what are some of the biggest misconceptions people have about social media strategy? And what are some of the biggest mistakes that brands make? It’s cheap, immediate and anyone can do it. To quantify my previous statement, yes, anyone can “do it.” BUT, effectively executing a social media strategy that drives impact and quantifiable business value is harder to accomplish today more than ever. The biggest mistakes brands make are not knowing how to capitalize on the true value of what social can provide and just being there to have a presence. Social is the ONLY marketing activity that provides brands the ability to have 1:1 conversations with prospective customers/clients. Combined with the depth of knowledge and insights you can garner, together this can be extremely powerful. Think about it … TV commercials, product naming, product feedback/development, audience knowledge/insights/affinities, support and crisis management. Test concepts quickly and cost-effectively before investing thousands or millions; knowledge itself can directly impact your campaign approaches. When a brand is invested in the social community and listening, you can get ahead of these, saving your brand money, time and heartache. 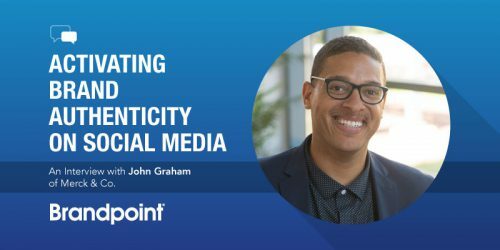 In more social-forward and provocative companies, social can be the tip of the spear for all marketing vs. falling into the checkbox marketing camp. This statement is so profound and truly causes you to stop and think; arguably what we don’t do enough of. What I mean is, how else can we accomplish our goals? It requires you to think, as cliché as it sounds, “out of the box.” What buttons can you push, what levers can you pull, what’s the cause and effect for each outcome and what do those trigger? It causes you to think bigger than just you. Who can you partner with and how can you make this more powerful? Catch Scott present at the Social Media Strategies Summit in New York on Oct. 11.